Tateru Nino illustrates the power of virtual worlds. People who are “shut in” have new environments, relationships and opportunities open to them. These settings can be especially powerful in giving people options to connect when their current life situation limits their ability to do so otherwise. Virtual Reality Improves Social Attention in Autistic Kids: May 24, 2011 (Honolulu, Hawaii) — Virtual reality training may help improve complex social attention in school-aged children with higher-functioning autism (HFA), suggests new research presented here at the American Psychiatric Association (APA) 2011 Annual Meeting. 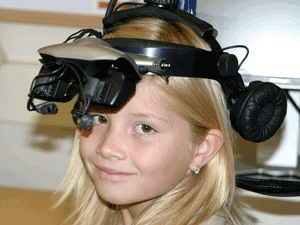 In the pilot program, 18 children with HFA and 20 healthy controls wore head-mounted displays showing a virtual classroom with 9 “virtual avatar peers.” As the participants gave short speeches about themselves, each peer was programmed to start fading and become transparent if ignored. Although results showed no difference in the preadolescent HFA and control children in number of looks to the avatars, the adolescent HFA children made significantly fewer looks than did their age-matched controls, signifying evidence of impairment that emerges later in life.